Singaporeans who drive (like yourself) are saving at least $400 a month, just by hitching someone to and from work daily! Do you drive? Why not GrabHitch! GrabHitch is a social carpooling platform for non-commercial everyday drivers. Recover petrol costs while driving! No additional licences or documentation is needed. Driving with GrabHitch is entirely up to your own convenience, there are no prior commitments. PLUS, exclusively for you, we are giving you a $40 sign up bonus! 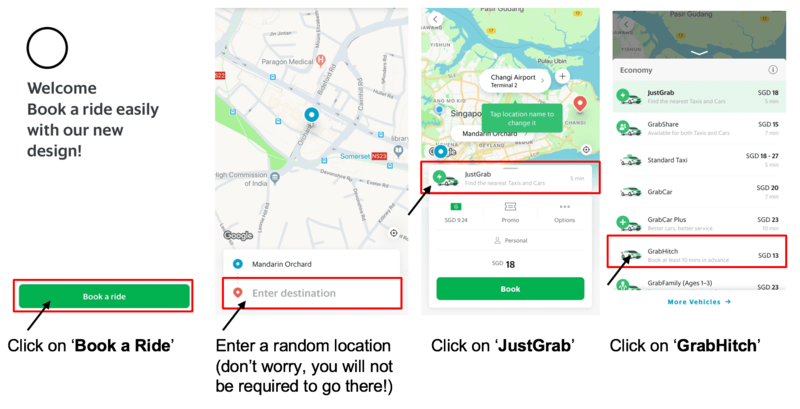 Simply open the Grab passenger app and follow this step-by-step guide! We can’t wait to welcome you to our GrabHitch Community! This incentive is only eligible for new drivers who sign up and successfully complete 1 Hitch ride as a driver by 31 October 2018. 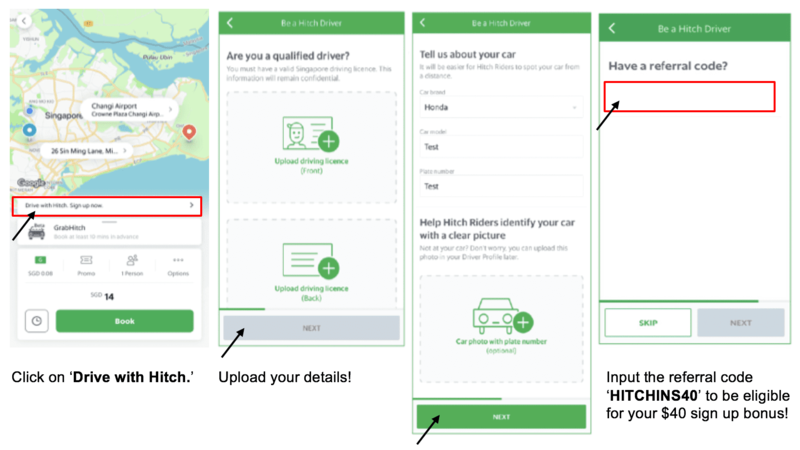 New drivers must sign up with the referral code ‘HITCHINS40‘ in order to qualify for the $40 credit. The processing of the $40 credit will only be conducted after the incentive period has ended (i.e. post 31 October 2018). Please allow up to 10 working days from the end of the incentive period for the disbursement of the $40 credit into your Hitch Driver wallet.